It’s taken a decade or so for ROQUEFIRE to release their debut full-length album, but the moment has finally arrived and the Norwegian Hard Rock veterans will hit the streets running on the 31st October with the release of “Roll With Your Demons” . The ten-track album will appear on the band’s own Roquefire label and will be available both as a CD and a 12″ vinyl. However, unlike most releases, where the two formats have to be bought separately, “Roll With Your Demons” comes as a double package, with both CD and vinyl together. The album will also be available in digital format as well as on Spotify. 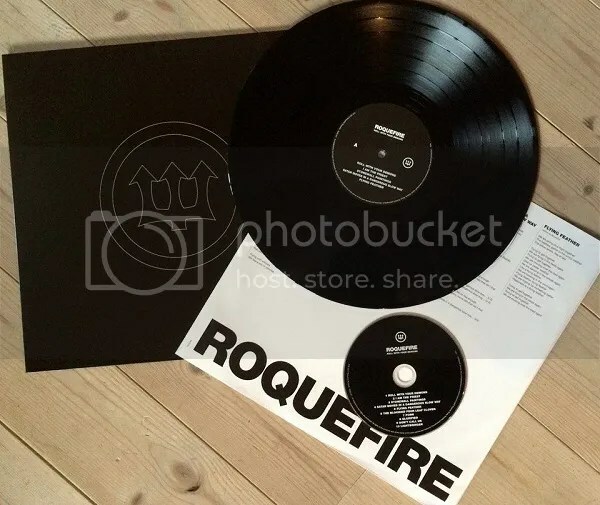 ROQUEFIRE was formed in 1977/78 by Ronni le Tekrø, a guitarist best known for his bands VAGABOND and of course the Grammy award winning TNT, as well as for his solo work and for his work with jazz musician Terje Rypdal. Le Tekrø has, over the years, earned many accolades, including a ranking in the Top Ten guitarists in the October 1989 issue of Guitar Player Magazine and was named as one of the 25 best guitarist in his genre in 2009. His influence as a heavy metal guitarist is acknowledged by various musicians, including former Ozzy Osbourne guitarist Zakk Wylde. Today ROQUEFIRE continues play classic hard rock, the perfect showcase not only for le Tekrø’s expressive guitar style, but also for the skill and experience of the rest of its lineup, which includes Harald Grefsrud Ensrud on vocals , Ingar Amlien (CREST OF DARKNESS, CONCEPTION) on bass, Stein Glimsdal on drums and Torgeir Berg on keyboards. Playing a huge part in the rebirth of ROQUEFIRE and the release of the album, as well as writing lyrics for four of the tracks, is Thor-Rune Haugen, the band’s former manager who is considered by all to be an honorary fifth member. Commenting the return of the band, Ingar Amlien had this to say: “Whilst myself and Tekrø have been continuously active on the music scene, Harald and Stein haven’t, and I was stunned by just how good these guys were even after all this time. Really, we started playing again just for fun 4 or 5 years ago, but despite it having been almost 30 years since we last played together, it was as if we had never taken a break at all, and, if anything, we were sounding better than ever. ROQUEFIRE definitely still had it, and here we are, with a brand new album to prove it”.